The name ShivYog has an in-depth meaning. Shiv does not refer just to Lord Shiva but the name Shiv is beyond the barriers of name and form. Shiv simply means infinite, which is also known with different names like God, Supreme, Universal Consciousness, etc. Yog means uniting or merging. So ShivYog means merging with the infinite or becoming one with God. The aim of all Shivyog practices are specially aimed at bringing an overall transformation in all areas of one’s life. Aims at uplifting one’s life conditions in all areas of health, wealth, success, relationships and at the same time helping one go deep within into states of turiya and samadhi. It practically makes on yogi and a bhogi. Dr. Shivanand never advocates leaving one’s worldly responsibilities and taking refuge in forests or hills but rather He says one must learn to renounce from within but yet fulfilling one’s duties because it is for these responsibilities itself that one takes human birth without fulfillment of which one cannot attain liberation. So, as one is attending to the responsibilities and duties of earthly life, one becomes detached from within. Thus one lives in the material world enjoying material comforts, which also are manifestations of the divine, but without getting attached or stuck with anything, living in a nonreactive state. All sadhanas help burn and dissolve karma’s thus helping one ascend further spiritually bestowed with the blessing of bhoga and moksha. The divine healing energies are very much present in nature and even within every human being, but it remains inactive due to layers of conditioning and negative influences of earlier negative karma. Dr. Shivanand teaches the mass openly the divine secrets of healing that were passed only in the Guru-disciple lineage, because Dr. Shivanand believed it was time that every human know one’s own infinite powers and help oneself to heal their physical, mental and emotional bodies so that one learn to take courage and heal themselves out of challenging situations of life, so that one can focus on and reach higher goals of life. Heals the 12 houses of horoscope to bring good luck and removal of obstacles. Happier relationships within family and friends removal of blockages and healing of studies, career, court case and situations at home, college or work place. Helps pitra (ancestors), who are stuck in lower dimensions or not received liberation, to reach the highest dimension of afterlife. As they ascend from the lower dimension to the higher dimension individuals and family problems connected with Pitra Dosha get healed. Rectification of Vaastu of home, shop, factory or office with the help of yantras and Sanjeevani Shakti. Quicker materialization of positive desires with the help of sacred Shree Vidya Sadhna. 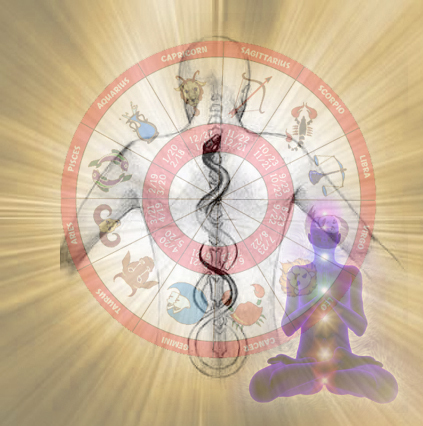 Chakra and Kundalini Activation leading to faster spiritual progress. Helps lead a balanced life and enjoy all the pleasures of life while moving steadily towards self realization. The Shiv Mahapuran event will take place from Wednesday 13 June 2018 to Sunday 17 June 2018, between 6 pm and 9 pm.